beam that handles seas well. small crowd with removable table. 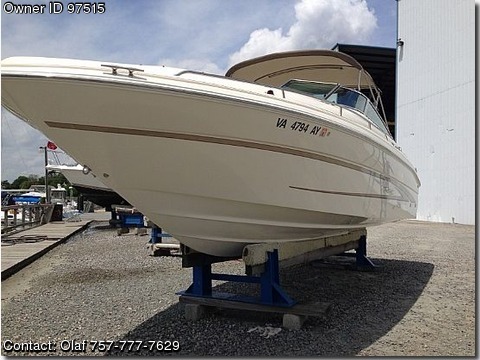 This Sea Ray is in excellent condition–kept in dry storage and professionally serviced twice a year. Two sets of cockpit canvas and one full-size cover, four life vests, a tube and tow rope are included!